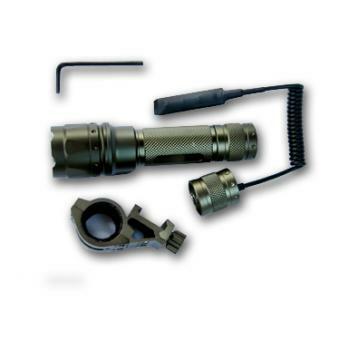 Light up the night with AIM Sports powerful 180 lumen LED flashlight. A pressure switch operates the “On” and/or “Strobe” lamp settings and the offset Weaver-style side mount provides sturdy attachment. Anodized matte OD green finish.